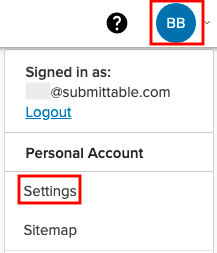 How can I change the email address associated with my Submittable account? Easily change your account email address in your profile settings. Click on the colored circle with your initials at the top right of the page. 4. Scroll down until you see the text box for your email address. 4. Type in the email address you would like to be associated with your account. 5. 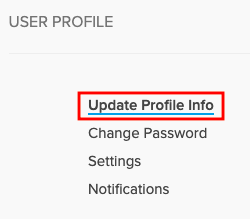 Scroll down to the bottom of the page and click Update Your Profile. This will save your account information.